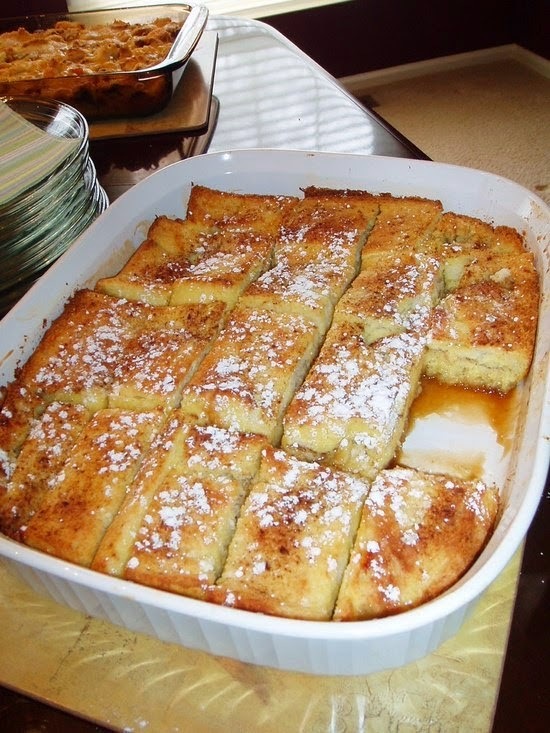 French Toast Bake | FoodGaZm..
Last weekend I made a French Toast Bake for a bridal shower brunch. I love this recipe because it is so easy , economical (most expensive ingredient was the Texas Toast at $2), & oh-so-delicious! The best part is that it is made the day before so there is no fuss on the day you consume it....perfect for a Sunday afternoon or brunch.